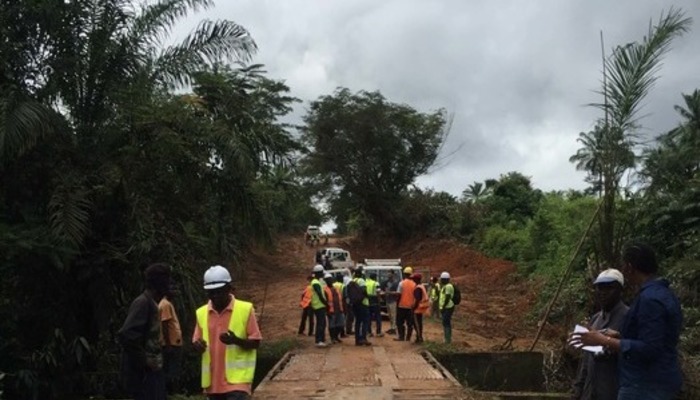 Last year FCG Sweden together with GOPA Infra won a new road capacity development contract in Liberia : “Liberian-Swedish Feeder Roads Project, Phase 3” contracted by the Ministry of Public Works in Liberia and funded by Sida. The 4-year project has a total budget of 52,4 million SEK and the overall objective of LSFRP 3 is to, through the provision of sustainable feeder road access, improve the opportunities for poor people to enhance their living conditions and livelihoods. The implementation of LSFRP 3 started this year with the mobilisation of the consultant team in January. During this period the Liberia had a peaceful transition of power with the inauguration of the new President George Weah and the formation of a new government. On 20th February the team met with the newly appointed Public Works Minister Mobutu Nyenpan. Through this important project, FCG Sweden looks very much forward to support Liberia's transition to inclusive growth and wealth creation in line with the Government’s Agenda for Transformation, with the specific focus to the southeast where some of the most poorly connected and poorest counties of Liberia are situated.